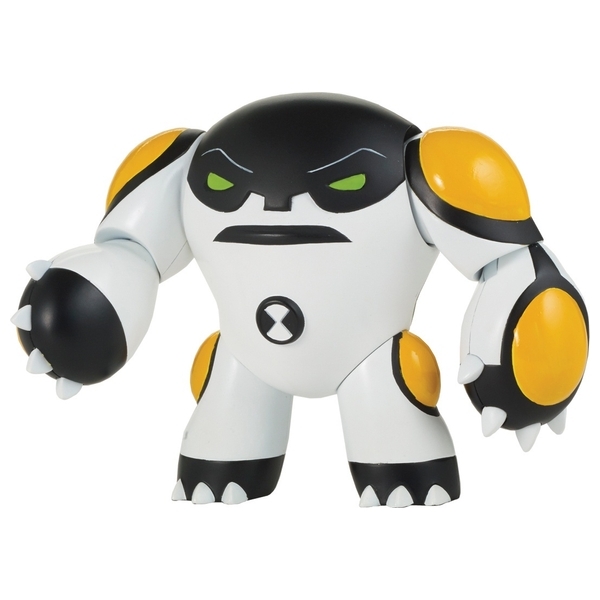 Compatible with all Ben 10 playsets! Ben Tennyson, a 10-year-old boy, is on an extended summer vacation with his Grampa Max and cousin Gwen when he discovers a magical device - the Omnitrix watch. This amazing device gives Ben to ability to transform into any one of the spectacular alien heroes, each with its own unique abilities. Ben, Max and Gwen travel the country in their mobile home- the Rustbucket, and have a blast beating down would be villains along the way. Now you can recreate and act out your own scenes from the Ben 10 hit TV show with the Ben 10 articulated figures! There are 8 different figures in the range to collect each including a matching accessory. Collect them all! (each sold separately). This set contains the Cannon Bolt articulated figure.